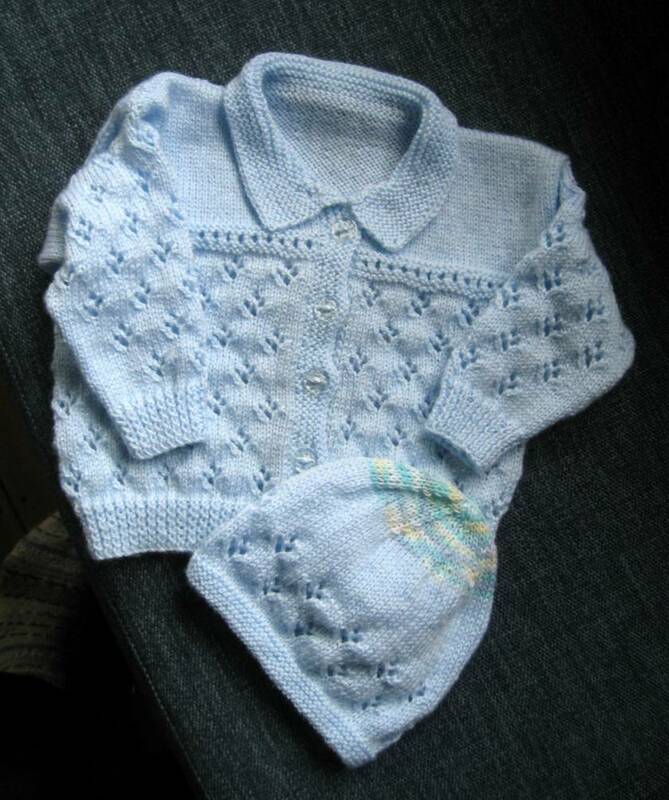 This cardigan and beanie is knitted in a lovely soft top quality machine washable baby yarn-100 % acrylic. It would fit a baby of 1-2 years, approx. chest measurement 22". 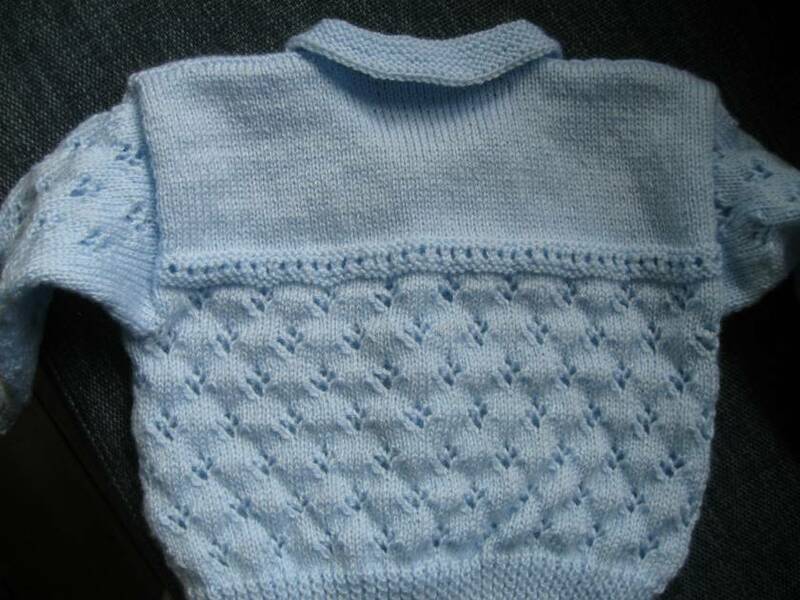 The colour is a lovely soft blue- very hard to photograph! 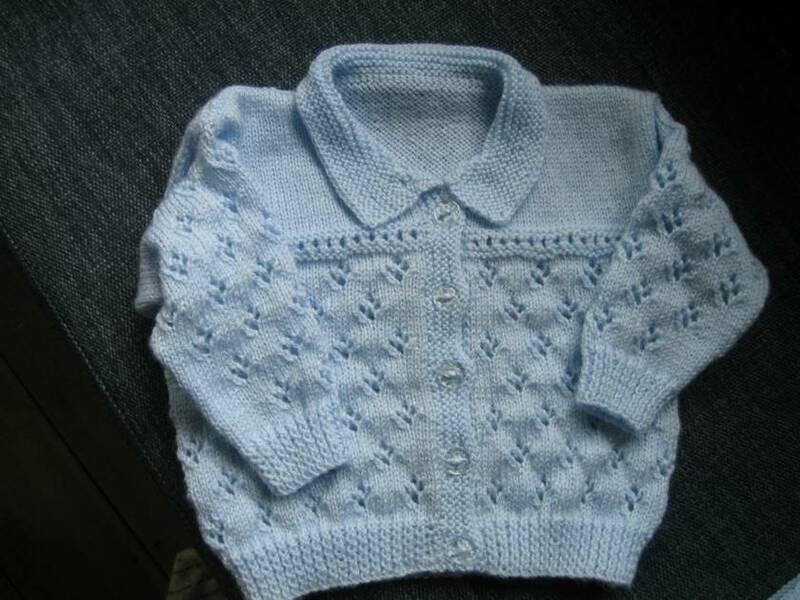 With the cosy collar this cardigan would keep baby nice and warm. 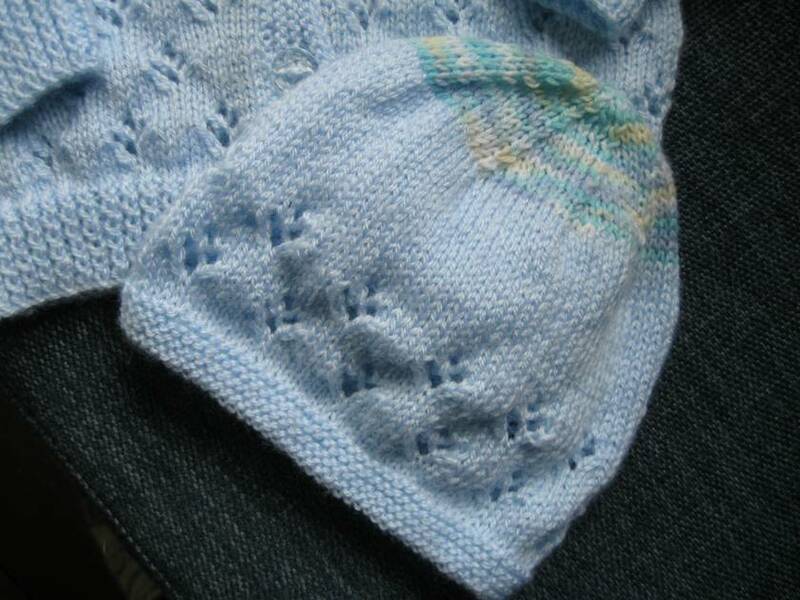 The beanie has added interest with a multi colour yarn used on the crown, which is very cute.